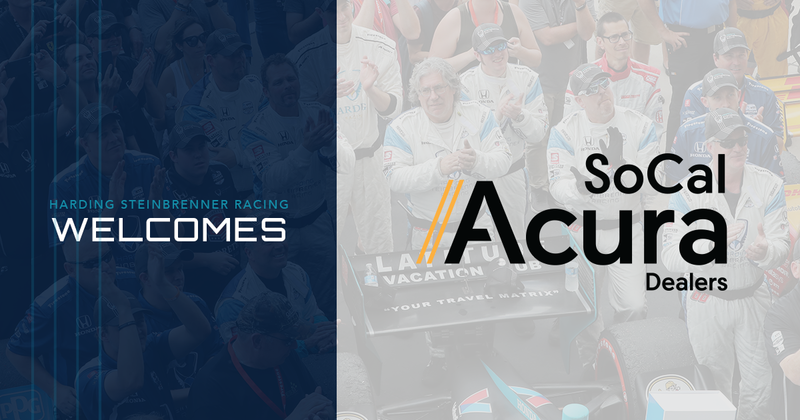 Long Beach, Calif. (April 10, 2019) Southern California Acura Dealers will join Harding Steinbrenner Racing and driver of the #88 Harding Steinbrenner Racing Honda-powered Indy car, Colton Herta, as an associate sponsor in the 45th Acura Grand Prix of Long Beach. Acura owners attending the Acura Grand Prix of Long Beach will have the opportunity to enjoy added perks, just for being a car owner. By presenting a branded car key, access to the Acura Owners Lounge, located at the entrance to Lagoon Park, will be granted. Owners will have the opportunity to attend a pre-race talk with HSR Executive Consultant, Al Unser Jr. and a meet and greet with HSR co-owner, George Steinbrenner IV and driver Colton Herta, who recently became the youngest winning driver in NTT IndyCar Series history after a 1st place finish in the INDYCAR Classic in Austin, Texas. Long Beach touts a winning history for the Harding Steinbrenner Racing team. Executive Consultant and driver coach, Al Unser Jr. earned the nickname “King of the Beach” after securing nine overall victors on the famed street circuit. This weekend will be Colton Herta’s first race at the historic Acura Grand Prix of Long Beach. The Valencia, California, native looks forward to racing at his home track and hopes to continue the tradition of winning the event. Opening practice begins Friday, April 12, at 1:00 p.m. ET. Live coverage from the streets of Long Beach can be found on the NBC Gold App and continues through each practice and qualifying session of the race weekend. Race day coverage will be live on the NBC Sports Network at 4:00 p.m. ET.